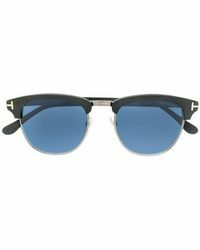 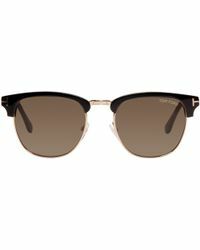 Based on a classic clubmaster design, Tom Ford's Henry sunglasses make a timeless choice. 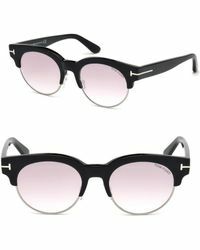 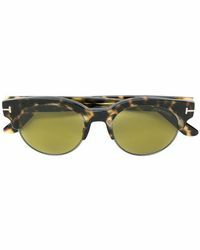 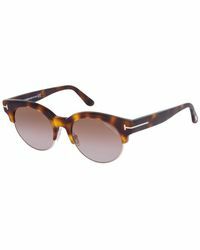 The style is crafted with polished acetate arms and upper sections, while lightweight wire frames complete the bridge and lower parts of the lenses. 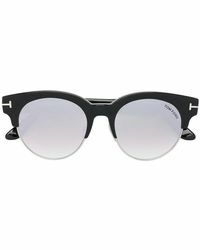 The result is sleek and sophisticated, and a great way to add luxurious polish to summer-ready outfits. 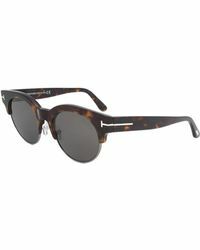 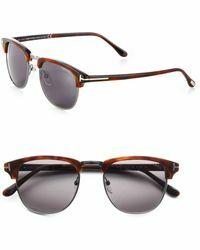 The tortoiseshell designs have a retro sensibility, while classic black shades offer timeless appeal.